I spent Christmas at my boyfriend’s family farm, it was delightful. There’s nothing like a little Boxing Day milking duties to make you feel close to the earth. 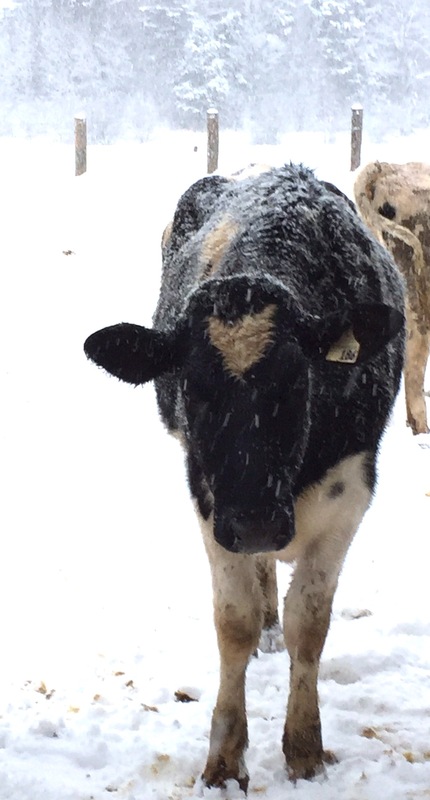 The snow was softly falling and hearing the cows breathing in the cold air was so peaceful. I took a lot of pictures, one of which I passed on to Deanne and it inspired her to draw a new pattern ! When I hooked it, I added some swirls to the sheep bodies to make them look more round and whimsical, (kind of like me!). I outlined with gladstone chunky yarn in a varigated red and blue, then I did the sheep heads in some great raw wool we had here, complete with bits of dirt and grass in it. I just figured it added to the authenticity of my funky sheep. I also used black cherry sari ribbon for accents. Black cherry sari is my absolute favorite product in the store…it just gives a little bit of sheen and interest to your work and the variations of color in that skein are so nice, you can pick out individual colors to use in different places of your piece. Then the background was done with bits and pieces from my stash. I was really happy with how it turned out! 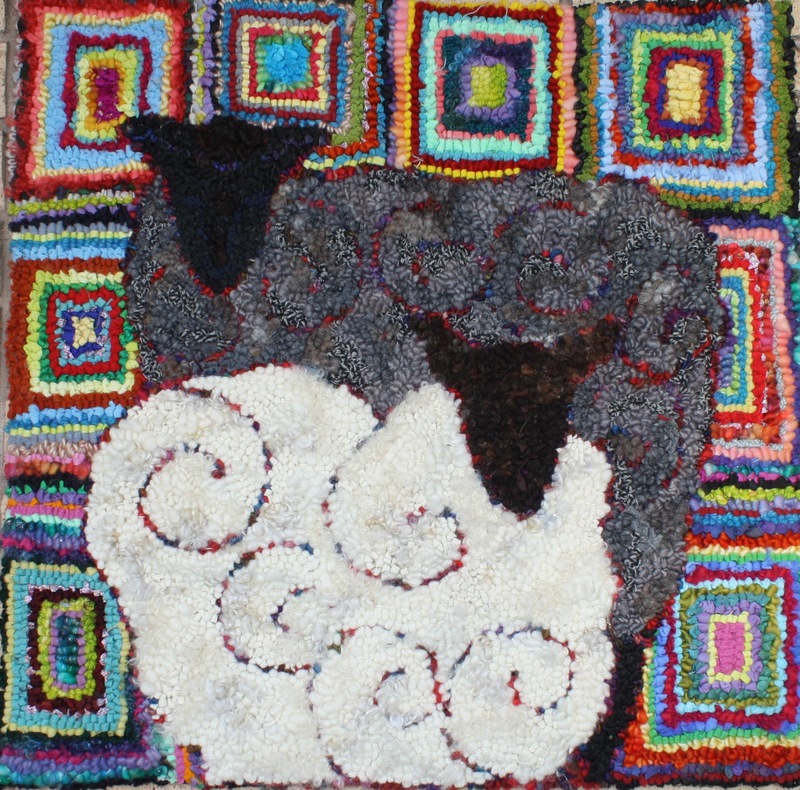 Is it possible to have the sheep pattern drawn for a larger rug? Very nice, Denice. I like it. Christmas on a farm sounds beautiful. Loved your sheep and your memory of the cows breathing. I could feel the moment. Thank you for sharing.